The Best Auto Repair blogs from thousands of top Auto Repair blogs in our index using search and social metrics. Data will be refreshed once a week. Also check out Auto Repair Youtube Channels. Auto Repair newsletter is a comprehensive summary of the day's most important blog posts and news articles from the best Auto Repair websites on the web, and delivered to your email inbox each morning. To subscribe, simply provide us with your email address. Pottstown, Pennsylvania About Blog Eastwood is a part of the DIY community since 1978. Get expert advice and help on Auto Body Repair, Car Repair & Auto Accessories from Eastwood blog. Find articles, videos and much more for the classic car. Facebook fans 626,832. Twitter followers 8,150. Columbia, Maryland About Blog Brian England is the current president of BA Auto Care. A big believer in preventive auto maintenance, Brian's philosophy is to encourage and educate drivers on the benefits of adhering to a regular maintenance plan. Blog topics include car repairs, preventative maintenance, Maryland inspections, auto tips, green car care & more. Facebook fans 1,322. Twitter followers 479. Florida Suncoast About Blog This is a personal auto repair blog of car mechanic Mark Gittelman. He is currently a Master Technician certified by the National Institute for ASE and a longtime member of the SAE International. Although, his professional life has revolved around the repair industry since the early 1980s his main passion has always been classic cars. California About Blog The Buy Auto Parts auto blog is your source for automotive news, how-to's, tips, and articles on cars and truck parts. Facebook fans 21,911. Twitter followers 2,561. Denver, Colorado About Blog AAMCO Colorado provides transmission repair, brake repair, AC repair, and total car care. Read in depth blog articles on how to keep your car running smoothly & safely with AAMCO car maintenance services & transmission repair tips & knowledge. Facebook fans 138. Twitter followers 220. Calgary, Alberta About Blog All Makes Collision Centre’s blog provides auto body and collision repair information, tips and advice. All Makes has been serving Calgary for over 25 years. Facebook fans 557. Twitter followers 392. Chandler, Arizona About Blog Autopro Collision Center have many years of experience and expertise. View their auto body and collision repair blog to find helpful tips and tricks about the automotive industry. Facebook fans 832. Twitter followers 89. California About Blog Network Auto Body is recognized as Experts in the Auto Body Collision Repair and Paint Industry by some of the top associations. In 2010 and 2011 Network Auto Body was Ranked and Awarded the Title of 'One of the Top Ten Body Shops in the United States' by ABRN. Their blog gives Auto Body repair and maintenance tips. Facebook fans 218. Twitter followers 104. About Blog Rad Air is Northeast Ohio's #1 shop for automotive repairs & maintenance. Follow their blog to receive tips and news related to car care. Facebook fans 3,526. Twitter followers 259. About Blog The Mechanic Doctor is a group of real-life mechanics who like to make instructional videos on all things car related. They just launched a brand new website where you can find all sorts of resources for car mechanics including video tutorials, automotive industry news, tips and tricks and anything car-related. San Jose, California About Blog Michael J's Body Shop is a full service Uni-Body Collision repair facility specializing in all makes and models of foreign, domestic, and high end exotic vehicles. Their blog concentrates on auto body repair and maintenance. Facebook fans 318. Twitter followers 385. USA About Blog Auto Repair Questions is a blog to ask and review auto repair questions. FreeAutoMechanic.com was launched by an auto repair shop owner who was looking to put all the information about auto repair in one place. Facebook fans 761. Twitter followers 1,393. Carthage, Missouri About Blog The National Tool Warehouse blog is geared toward DIY mechanics and includes everything from body fillers and putties to lifts and jacks. The National Tool Warehouse blog also features motorcycles, sports cars, and trucks categories to help DIY mechanics with nearly any type of vehicle. Facebook fans 1,234. Twitter followers 449. About Blog Our Mission is to serve the professional automotive repair market with select, high quality products and superior customer support services. Since 1963, Mighty has been the gold standard of parts distribution exclusively to the automotive service professional. Our trademark combination of high quality products, inventory management, superior personal service, and competitive pricing set us apart as the premier stocking supplier. Facebook fans 80,923. Twitter followers 1,329. St Paul, MN About Blog Ricks Free Auto Repair Advice blog features articles on how to fix your car or truck. The site includes technical service bulletins, wiring diagrams, trouble code definitions and fixes, and diagnostic help information. Facebook fans 104. Twitter followers 98. India About Blog MeriCAR.com is dealing in car servicing, car washing & polishing at customer's doorstep, car glass repair & replacement, car accessories, car security systems, car tires, batteries, etc. Their blog covers variety of topics related to car servicing and also repair tips for Maruti, Hyundai and other brands. Facebook fans 16,134. Twitter followers 214. Gresham, Oregon About Blog This blog contains tips and ideas for your car care. ASE certified, All About Automotive is an auto repair service that keeps your car or truck running like new. About Blog Mechanic Guides blog by Ken Coul features articles about the best mechanic guides and tools to repair and improve your truck. Tempe, Arizona About Blog David Schultz is the President of Elite Auto Repair. Elite Auto Repair have been providing quality auto repair in Tempe, Arizona since 2001. This blog gives you the latest news & tips from the automotive industry & his auto repair shop as it applies to keeping your car in top running condition for years to come. Facebook fans 433. Twitter followers 115. Horsham, Pennsylvania About Blog Cottman Transmission and Total Auto Care is an auto repair and transmission company for nearly any make or model vehicle, including foreign and domestic. The Cottman Man Blog features articles on auto repair, automatic transmissions, vehicle maintenance, tire and suspension, brakes, and many more. Facebook fans 1,024. Twitter followers 185. Chicago, Illinois About Blog OTOBOTS provides Auto Repair services at your convenient location such as home or office. Their blog focuses on vehicle maintenance. Facebook fans 1,306. Twitter followers 95. Greensboro, North Carolina About Blog Foreign Accents is the premiere import service center in the Triad, being both a Bosch Certified Repair Center staffed with ASE-Certified and Master-Certified Technicians. This blog contains articles related to vehicle maintenance and repair. Winnipeg Mb. About Blog The premier engine troubleshooting resource site. We offer information on Engine Rebuilding, Tech Info, Engine Testing, Machine Operations, Engine Repair and possible solutions. Mission to Share Information and Help Solve Engine Problems. Facebook fans 694. Twitter followers 2,416. Van Nuys, California About Blog AutoAid is AAA Approved by the Automobile Club of Southern California for automotive repair and service excellence. AutoAid has received the coveted AAA 100% Customer Satisfaction Award five years in a row. Theri blog provides articles related to auto repair and car service. Malaysia About Blog A website created to provide information, review, miscellaneous, history, and many more regarding to the automobile industries in the world and in Malaysia. Renton, Washington About Blog Meister Werks European and Import is the leader for European automotive customization, maintenance, and repair. Their blog focuses on maintenance and repair of European cars. Facebook fans 7,628. Twitter followers n/a. Tempe, Arizona About Blog We Fix It Auto Repair in Tempe is where our honest auto repair mechanics are conveniently located in Tempe and Scottsdale for all your auto service needs. This blog provides information for auto maintenance and repair. Facebook fans 645. Twitter followers n/a. Prescott Valley, Arizona About Blog Follow Adventure Auto Glass' Blog for all your auto glass repair and maintenance needs. Facebook fans 424. Twitter followers 3,348. Victoria, British Columbia About Blog The Searles blog provides car repair advice, car maintenance tips, Vancouver Island roadtrip itineraries & behind the scenes look at our Victoria auto shop. Facebook fans 283. Twitter followers 620. Colorado Springs, Colorado About Blog Visit the auto repair blog from Honest Accurate Auto Service in Colorado Springs. This blog is about car and auto repair services, along with related info. Facebook fans 415. Twitter followers 182. Maplewood, Minnesota About Blog Only 1 Auto Glass is a a auto glass company based in MN. Their blog is regularly updated with auto glass repair and maintenance tips. Facebook fans 770. Twitter followers 35. Silverdale, Washington About Blog This is a auto repair blog by Silverdale Autoworks, Silverdale Autoworks is a AAA approved highly qualified automotive repair shop. They have multiple ASE Master Technicians, and ASE Certified Service Advisors. Conway, Arkansas About Blog A & J Collision Repair specializes in all types of auto body repair from automotive painting to auto scratch repair to car dent repair. Their blog provides useful information pertaining to auto repair and some behind the scenes videos about the processes that take place in their repair shop. Texas About Blog Ellis & Salazar Garage & Body Shop has been a trusted provider of quality auto body repair services in the Austin area for over 60 years. Subscribe to their blog to receive news for auto body repair from the Austin in Texas. Facebook fans 1,661. Twitter followers 204. Medford, Oregon About Blog Ken Scales Auto Repair in Medford, Oregon, specializes in foreign and domestic car repair needs. The Ken Scales Auto Repair Blog is full of tips and advice for car care and maintenance, and the information in the articles is trustworthy and exhibits a high level of expertise. Fairfax, Virginia About Blog Read the latest articles on car service, repair and maintenance written by the auto care experts of Fairfax Auto Repair,Virginia, an award winning auto repair. Facebook fans 169. Twitter followers 41. Plano, Texas About Blog Learn more about IntelliDent Paintless Dent Repair, auto hail repair, hail facts, and more by subscribing to the best PDR blog on the web! USA About Blog Auto Craft Collision Repair was founded in Wichita, KS in 1976 by Phil Turner. This blog contains articles related to auto repair tips. Facebook fans n/a. Twitter followers 512. Morristown, New Jersey About Blog Shade Tree Garage is an AAA-Approved Auto Repair Facility and NJ's first Certified Green Auto Repair Facility. Car Care Tips from Auto Repair Experts in Morristown, New Jersey. About Blog Don’t Get Wrenched is a blog designed to help auto repair customers know as much as possible about auto repair so that they can protect themselves from costly repair costs. Elayne Kling, was the owner of a downtown Manhattan auto repair shop for 25 years, she now owns a new project management business. Kalispell, Montana About Blog Loren's Auto Repair is a full-service auto repair shop in Kalispell, MT. With 10 full-service bays and a team of certified professionals ready to serve you. Their blog provides information related to auto repair. Facebook fans 304. Twitter followers 305. About Blog Miracle Body and Paint has been in Business in San Antonio since 1986 with over 60 employees dedicated to delivering the highest standard of quality in the industry. Their blog covers wide range of articles relating auto body repair. Facebook fans 416. Twitter followers 23,767. Kingsgrove, New South Wales About Blog Advances Auto Glass are windscreen specialists in Sydney, Australia. Follow their blog for useful tips & interesting facts about car windscreens & car glass. Louisiana About Blog Twin Tire Auto Care is the best car care for the best price in Louisiana. This blog contains helpful auto repair articles from the guys at Twin Tire in the New Orleans area of Louisiana. Get specials, tips and local event info. Facebook fans 594. Twitter followers 58. Hawthorn, Victoria 3122 About Blog For over 12 years our family owned business has been providing vehicle service and repairs to all makes and models. As the owner and operator, we care about your car! Facebook fans 12. Twitter followers 111. Toronto, Ontario About Blog McDermott Motors Tirecraft offer quality in our personalized vehicle maintenance programs. Their blog provides with exciting content related to auto repair. Facebook fans 193. Twitter followers 17. Chicago, Illinois About Blog Midwest Performance Cars specializes in the repair and maintenance of European autos, including Porsche, BMW, Mercedes, and Audi. Their blog concentrates on articles related to car care and maintenance. Facebook fans 1,077. Twitter followers 98. Escondido, California About Blog Escondido Auto Tech utilizes the latest in diagnostic equipment and information for routine service or major repairs of your vehicles. Their blog covers topics ranging from regular maintenance to automotive diagnostics to auto maintenance. West Jordan, Utah About Blog Dave's is the only certified Tesla and Audi repair facility in Utah. Their blog contains articles related to Tesla and Audi auto repair and maintenance. Facebook fans 296. Twitter followers 334. Tacoma, Washington About Blog Coopers Auto Repair Specialists is a family owned and operated second generation auto repair shop. They provide complete automotive, truck, SUV, Hybrid and RV service and repair. Their blog contains articles relate to auto repair and maintenance. Facebook fans 935. Twitter followers 412. Hamel, Minnesota About Blog Pro-tech Auto Repair is helping to keep the auto repair community rolling since 1983. This blog will help you to either learn about situations that happen in their auto repair shop and pointer blogs to learn from before it happens to you! Denver, Colorado About Blog Avalon Motorsports is the most complete source of service, parts and installations for your Audi, BMW, Porsche, MINI and Volkswagen. Stay up-to-date on any services, specials or news on German auto repair. Facebook fans 5,694. Twitter followers n/a. Washington About Blog Rofl's Import Auto Service employ only the best ASE Certified Technicians and highly-trained Service Advisors. Their blog provides tips for auto repair and maintenance. Facebook fans 283. Twitter followers 378. British Columbia About Blog GrandCity is an ICBC Accredited and award-winning Auto Body shop serving Vancouver & Richmond, BC. Subscribe to their blog to receive auto repair tips and updates. Facebook fans 502. Twitter followers 50. Raleigh, North Carolina About Blog A & J Automotive has been serving Raleigh and the surrounding community since 1996. A&J Automotive keeps in touch with its customers and its community with an informative blog that shares insight on new automotive technologies and service techniques. Facebook fans 739. Twitter followers 74. Dallas, Texas About Blog Hance's Uptown Collision Center offers auto body repair, maintenance, and custom painting in the Dallas area. They keep you informed on the collision repair and auto body repair tips via their blog. California About Blog F. Lofrano & Son, Inc. is providing certified auto body repair to the San Francisco Bay area for over 40 years. Their blog shares items of automobile interest regarding auto body repairs, certifications of auto body repair shops, and OEM cars we repair. Facebook fans 311. Twitter followers 50. Shelby, North Carolina About Blog Standridge Auto Parts offer a variety of Domestic and Foreign used auto and truck parts. Former owner late Billy Standridge, of NASCAR fame had 30 years of experience. Follow their blog to keep up with whats happening at Standridge and receive auto repair and general news updates. Facebook fans 2,183. Twitter followers 411. Minnesota About Blog Suburban Auto Body Blog's provides you with the latest news, updates and tips for auto body and collision. Facebook fans 2,466. Twitter followers 134. Albuquerque, New Mexico About Blog Visit Car Crafters' blog to learn the latest news & thoughts at Car Crafters - your best source in Albuquerque & Rio Rancho for auto body repair & car maintenance! Facebook fans 4,679. Twitter followers 108. Richmond, Virginia About Blog Baugh Auto Body is a certified auto body repair in Richmond, VA. Their blog deals with articles related to auto collision and repair. Facebook fans 1,232. Twitter followers 27. Sacramento, California About Blog Frank's Automotive is locally owned and operated in Sacramento, CA. We specialize in quality vehicle service and repairs for European automobiles.Their blog covers a wide range range of articles under auto repair and maintenance. Facebook fans 486. Twitter followers 9. Rockwall, Texas About Blog For over 16 years, Horizon Auto Center has been at the forefront of Rockwall, TX’s automotive repair establishments. In this blog you will find articles related to auto repair and car maintenance. Facebook fans 1,277. Twitter followers 451. California About Blog Autobahn Collision Center is a trusted, honest auto body shop and auto paint shop who has specialized in providing excellent auto repair to the greater Los Angeles area. Take a look at their blogs as an extra resource to learn more about your vehicle. Facebook fans 1,761. Twitter followers 25. Windsor, California About Blog All Around Auto Repair has been Windsor’s most reputable auto repair shop since it was founded in 2001. Their blog includes articles related to car repair and maintenance. Facebook fans 487. Twitter followers 392. West Chester, Pennsylvania About Blog Take a look at the Anthony Volk Glass blog to find the latest news, tips, industry advice & company news from Anthony Volk Glass in West Chester, PA.
Facebook fans 256. Twitter followers 5. About Blog Caroline grew up around cars and considers herself a gear head. She is so comfortable around cars that she started race school in 2010 at Skip Barber and got her race car licenses in 2013. ChicMoto is a blog built for women explaining everything you need to know about cars to boost your confidence and knowledge in a "male dominant" world. Facebook fans 209. Twitter followers 65. Southampton, Pennsylvania About Blog Frank's Service Centre Blog provides information related to car repair and maintenance. Facebook fans 284. Twitter followers 5. Doylestown, Pennsylvania About Blog Smiths Auto & Truck Service Center is located in Doylestown, PA. Smiths is also a certified ATI automotive shop, which means they offer top-notch service experience for all of their customers. The Smiths Auto Repairs Blog offers advice and tips for automotive maintenance, automotive news, and more for readers. Omaha, Nebraska About Blog Great Plains Auto Body has THREE locations and is a family owned business who has been serving the community for over 24 years. Their blog contains articles related to auto repair and company related news. Facebook fans 3,017. Twitter followers 229. Plano, Texas About Blog MasterTech is an ASE-certified technicians offer repair and maintenance services for all foreign and domestic cars, SUVs, vans, and light trucks. Visit our auto repair and car maintenance blog regularly for advice on how to keep your car running smoothly, and what to look for if you need service. Eugene & Springfield, Oregone About Blog Sun Automotive of Eugene and Springfield, Oregon provides auto repair and maintenance tips articles on all foreign and domestic vehicles. Facebook fans 831. Twitter followers 73. Toronto, Ontario About Blog Dignity Auto Repairs & Service are a Mechanic shop located near Kensington market in the heart of Toronto. Their blog keeps you updated with different auto repair tips. Facebook fans 40. Twitter followers 10. Facebook fans 1,346. Twitter followers 192. Bexley, Ohio About Blog Bexley Automotive, a certified NAPA AutoCare Center, provides quality car care in Bexley, Ohio. Bexley Automotive specializes in all things repair. Subscribe to their blog for automotive tips and maintenance. Norfolk, Virginia About Blog Coastal Import have over 32 years experience maintaining and servicing import cars, and are factory authorized mechanic specialists. Their blog offers you general auto repair and car maintenance advice. Delafield, Wisconsin About Blog Gary’s Auto Repair has been one of the most trusted auto repair shops in Delafield, WI. Their blog offers articles based on auto repair and maintenance. Sparks, Nevada About Blog Wayne's Automotive Center is a member of the Better Business Bureau and for 20 years have been a AAA Certified Auto Repair Shop and NAPA Auto Care Center. Their blog focuses on auto repair and maintenance. Brooklyn Park, Minnesota About Blog American Auto Body provides an array of auto body services including collision, structural, mechanical and body repairs, as well as free loaner cars, glass replacement, paint services and more in the Twin Cities area. Follow their blog to receive auto maintenance tips and company news. Facebook fans 108. Twitter followers 12. Norwalk, Connecticut About Blog Croce's Transmission Specialists provide the best transmission and auto services in the Norwalk area. Thier ASE Certified techs are well-trained and equipped to handle complex transmission repair services. Their blog provides auto repair and maintenance tips. Facebook fans 224. Twitter followers 429. Lansing, Michigan About Blog PFS Auto Repair is the premier auto repair shop in Lansing, MI. Their mechanics are ASE certified & are able to handle a full range of repairs. Their blogs contains articles related to auto repairs and maintenance. Missoula. Montana About Blog Roemer’s has offered tires, vehicle maintenance, and auto repair in Missoula since 1953. This blog provides articles related to auto and tire repair. Staten Island, New York About Blog Barry's Auto Body is an auto body shop , collision repair center and auto repair shop in Staten Island NY. Their blog provides you with articles related to auto body repair and maintenance along with other automotive related news. Facebook fans 8,385. Twitter followers 26. About Blog The Battery Helper is a resource that helps you discover how to refurbish all sorts of used batteries. Dieppe, New Brunswick About Blog Champlain Auto Body is an independent collision repair center in the Greater Moncton area of Canada. Receive latest new and articles related to auto body repair and have an insider look at what goes on in our fast pace environment by subscribing to their blog. About Blog Our passion is helping people understand their vehicle better no matter what background knowledge they have. Subscribe us to let us be your transportation guide and support you in better understanding the vehicle that you love. Facebook fans 2,259. Twitter followers 19. About Blog DIY Car Guys helps normal people find their inner repair and maintenance talents. We offer tips, information, reviews and perspective. About Blog Since 1961, Fox River Tire & Auto Repair has been known for delivering the highest level of professionalism, maintaining the highest standards for parts and services, and providing the highest degree of care for our customers. Their blog focuses on car maintenance. Facebook fans 448. Twitter followers 66. Waukegan, Illinois About Blog This blog provides you with auto and collision repair as well as company news. Newbury Park, California About Blog Virgil's Autobody & Paint is an AAA-rated full service collision repair & paint shop. Blog topics include auto paint and auto body repair tips. Facebook fans 25. Twitter followers 26. Lynnwood, Washington About Blog KC Martin has been providing the quality Auto Repair Lynnwood WA folks have been using for generations. Since 1948, we've been the mechanic families can count on to keep their cars running longer and stronger. This blog contains car care tips and information for Snohomish county. Facebook fans 869. Twitter followers 331. Winston Salem, North Carolina About Blog Carolina Mobile Auto Service is a premier auto repair shop in Winston Salem, NC. Their blog comprises of auto repair tips and vehicle maintenance articles. Facebook fans 87. Twitter followers 20. Grand Junction, Colorado About Blog Scotty’s Complete Car Care Center is your complete auto and brake repair shop in Grand Junction, Colorado. They are a family owned and operated business with ACE certified technicians. Their blog contains auto repair related articles. Facebook fans 1,153. Twitter followers 87. Ann Arbor, Michigan About Blog Established in 1982 Ron’s Garage Inc is a family-owned and -operated full-service auto-repair center. They have been repairing and maintaining cars in Ann Arbor since 1982. Their blog provide articles related to auto repair techniques. Facebook fans 247. Twitter followers 8. Papillion, Nebraska About Blog Shadow Lake Collision Center is a family owned, state-of-the-art facility located centrally in Papillion near Shadow Lake Towne Center. Find auto body repair tips and more automotive related news by subscribing to their blog. Facebook fans 470. Twitter followers 89. Bryan, Texas About Blog Texas Auto Service Center - B&B Automotive located in College Station, TX. View their blog articles for helpful tips and information on brake repair and engine repair. Boulder, Colorado About Blog The 4 Wheeler is an old fashioned family owned and operated automotive repair shop that specializes in four-wheel drive vehicles as well as non four-wheel drive vehicle. Their blog about servicing cars, trucks and import vehicles with code of ethics, mechanics, auto repair, car repair and specials and coupons. Stafford, Texas About Blog Colony One Auto is a modern day, state-of-the-art automotive repair and maintenance center that still retains the level of commitment and friendly service as car shops of yesteryear. Thus blog offers auto repair advice. Facebook fans 2,553. Twitter followers n/a. Denver, Colorado About Blog Pro Auto Care specializes in both domestic and foreign Denver auto repair. This blog provides auto repair tips and tricks and auto maintenance articles. Facebook fans 1,375. Twitter followers 270. Blaine, Tennessee About Blog Dalton Collision is a certified auto body repair in Tennessee. Learn more about collision repair and maintenance through their blog. Facebook fans 1,224. Twitter followers 72. Trappe, Pennsylvania About Blog Wynne's Express Lube & Auto Repair Inc. is a car repair shop in Trappe, PA. Wynne's Express Lube & Auto Repair Inc. services all cars, trucks, vans & specializes in auto repair, oil changes, transmission repair. Their blog informs you about various vehicle repair maintenance tips. Colorado About Blog Saul's Automotive provide basic oil changes and brake pads, to major overhauling of engines and transmissions. Diagnostics of all kinds, including electrical. Off road, race performance, fleet service. Blog author Saul Reisman keeps you updated by uploading video of repairing various vehicles in his shop. Facebook fans 1,078. Twitter followers 139. Albertville, Minnesota About Blog Precision Auto Repair are locally owned and operated full service automotive repair center. Follow their blog to receive important related to auto repair. Facebook fans 308. Twitter followers 96. Plymouth, Minnesota About Blog Minnetonka is a high-end, highly advanced collision center with a mom-and-pop feel. Their blog cover topics related to auto repair and collision repair. Plymouth, Massachusetts About Blog Cape Auto Repairs Service Center can perform most foreign and domestic repairs. Their blog provides details on auto repairs. Facebook fans 837. Twitter followers 30. About Blog Since 1995, Muffler City Auto Repair has been affectionately known by its customers as “the most honest auto repair shop in town”. Much of this is attributed to its owner, Ron Evans who oversees the day to day operations and together with his team of mechanics, provides expert service for all cars, trucks and RV’s, foreign and domestic. USA About Blog Want to learn more about what goes on under the hood of your car? Check out what Meineke's car care pros have to say, including tips and tricks to keep your vehicle in top-notch shape. Facebook fans 28,482. Twitter followers 6,419. 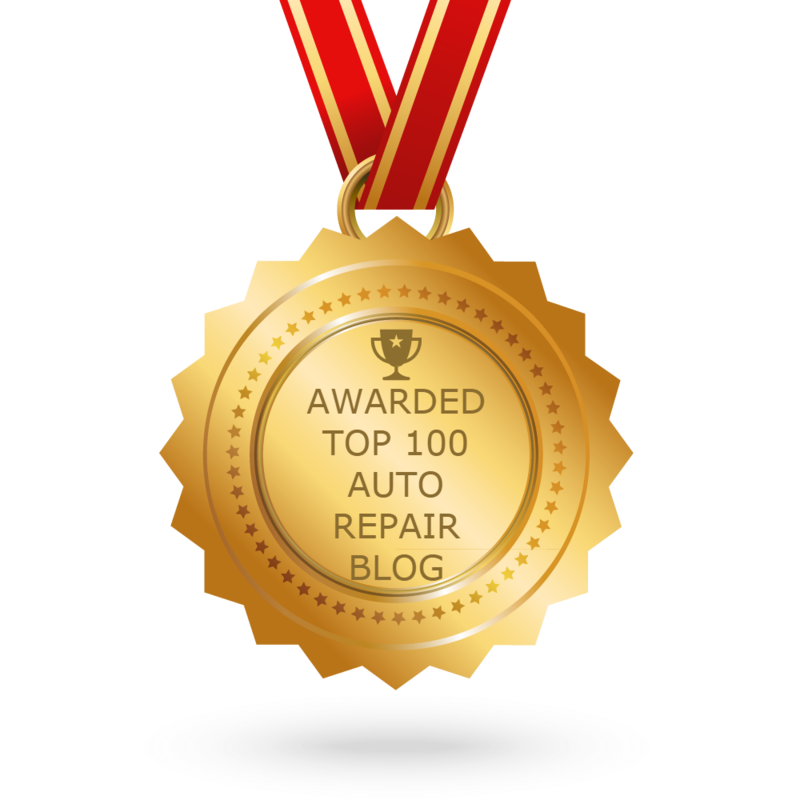 CONGRATULATIONS to every blogger that has made this Top Auto Repair Blogs list! This is the most comprehensive list of best Auto Repair blogs on the internet and I’m honoured to have you as part of this! I personally give you a high-five and want to thank you for your contribution to this world.